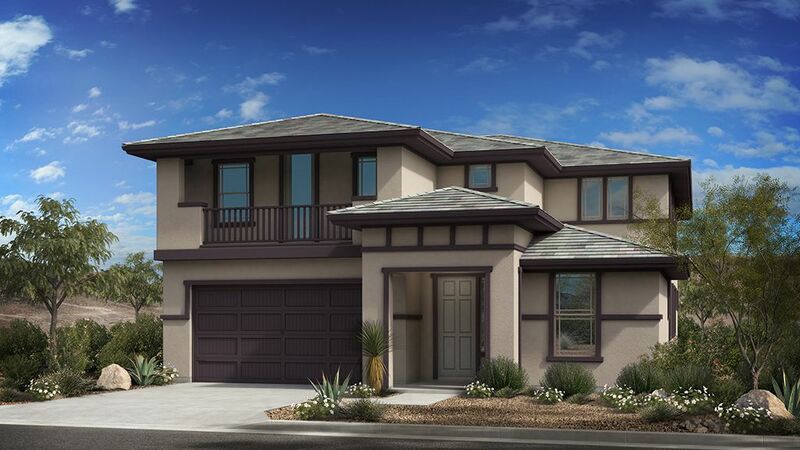 Discover the lifestyle that awaits with a new home at Las Brisas in Goodyear, Arizona. Las Brisas offers a variety of homes in a setting you'll love. Taylor Morrison's community in Goodyear is close to Estrella Mountains and offers convenience with quick access to nearby shopping centers and entertainment destinations.Discover Affordable Homes at Las Brisas Taylor Morrison's Discovery II and Encore II Collections at Las Brisas features eleven well-designed homes in the desirable area of Goodyear. With the variety between these two collections, there is sure to be a home at Las Brisas that fits your lifestyle. Residents of Las Brisas can enjoy nearby amenities such as multi-use trails and sidewalks, a neighborhood park consisting of a ramada, picnic tables, bike rack, benches, BBQ, and a playground structure covered by a shade canopy. Located off of Perryville and Lower Buckeye Road, with easy access to the I-10 in Goodyear, Las Brisas is minutes away from everyday conveniences and local attractions.Best Shopping in Goodyear Ready for some retail therapy? Treat yourself to a day of shopping at popular stores minutes away from Las Brisas, including Ross, Target, and Pottery Barn. Check out The Market at Estrella Falls and Palm Valley Pavilions West where you will find more shopping options like Famous Footwear, Pier 1 Imports, Kirkland’s, Barnes & Noble, Michael’s, T.J. Maxx, Home Goods, Best Buy, and Old Navy. Discover more trendy finds at Tanger Outlets with stores including American Eagle Outfitters, Nike, Gap, Banana Republic, Calvin Klein, PacSun, H&M and much more.Best Restaurants in Goodyear Dining out is a great experience in Goodyear with delicious local eateries nearby. Local restaurants include Oregano’s, Olive Garden Italian, Native Grill & Wings, Red Lobster, P.F.